ROWA Masterbatch further optimizes efficiency, quality stability and service with its investment in the new laboratory machine ZSK 26. 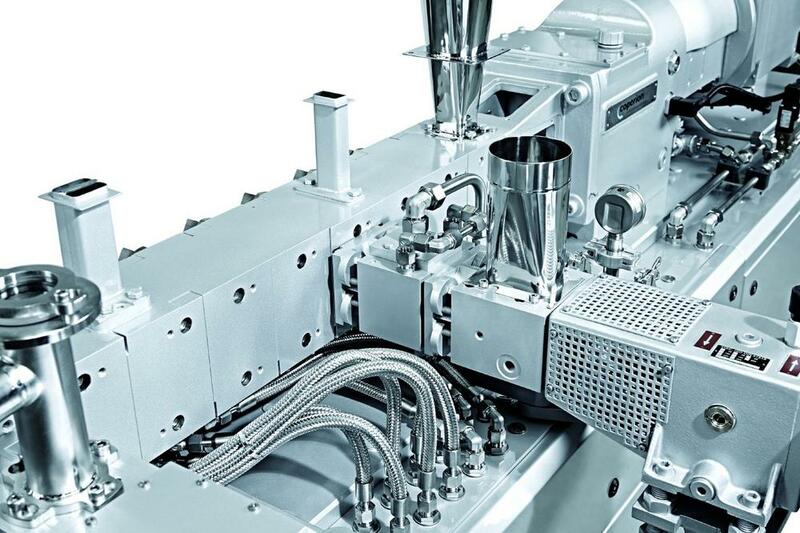 The twin-screw extruder can produce the same product as its big brother ZSK 45 – but to a lesser extent. Thanks to the reliable scale-up that is available, ROWA Masterbatch is now able to efficiently transfer formula developments from laboratory to production scale. With expertise and creativity, the company has demonstrated for over 40 years that there are individual solutions for almost all customer specifications and requirements. In addition to successful cooperation with the customer and, of course, the highest product quality and safety, the focus is also on responsible use of resources. A laboratory machine such as the new ZSK 26, which reliably tests the possibilities for small-scale production, is a helpful component. The ROWA GmbH was established in 1958 and is a partner in the ROWA GROUP of companies. The brand ROWA stands for technical competence, modern product design and customer oriented service the world over. Tailored customer solutions are part of the ROWA tradition and are a matter of course! The development of new products, the search for alternative raw materials and the constant and sustained optimization of our processes, coupled with modern technology, motivated employees and economical environment protection enjoy the highest priority in our company. In 2010 the ROWA GmbH has been renamed into the ROWA GROUP Holding GmbH and the departments Lack and Masterbatch were newly formed as ROWA Lack GmbH and ROWA Masterbatch GmbH specialist division: Color and additive masterbatches.